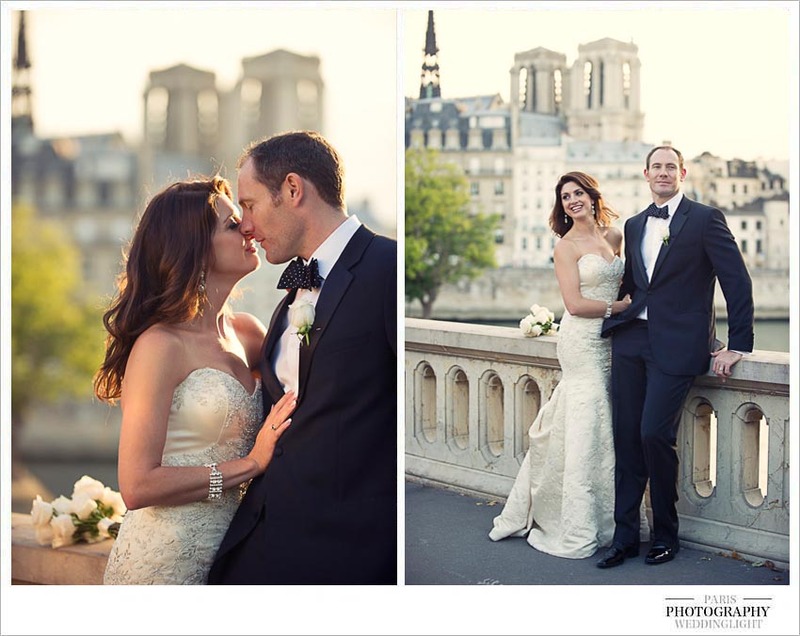 Cassie and Eric married in the U.S, flew to Paris for their honeymoon and Cassie had the brillant idea to take her wedding gown along for their Paris post wedding photo session, Eric his Ralph Lauren tuxedo. She called me a few weeks before and was so exited at the idea of post wedding photo shoot in Paris. First time in the city of love for the both of them! They fitted perfectly in the decorum! So much in love, great story how the two of them met actually which I wont mention on the blog. 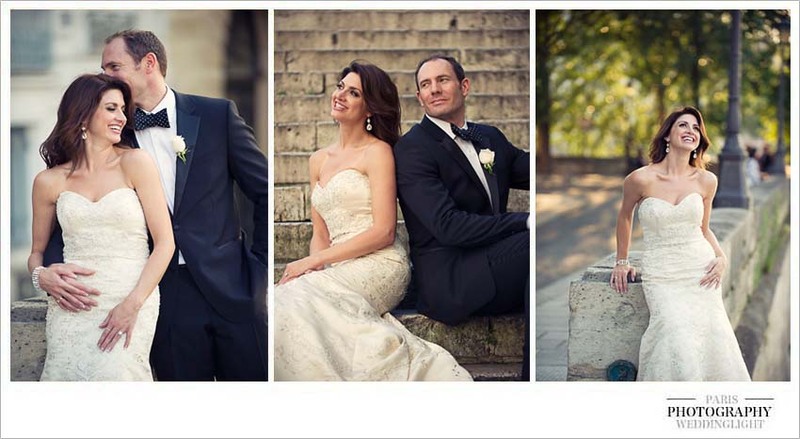 It is great how quickly you get intimate with your clients being a wedding photographer. Actually I just received a new review from one of my dear clients from NYC this morning. The best thing is that after all those years, we do get in touch! And clients cme back with the kids later on in life for some family portraits. If you havent yet, you may want to read some of the reviews posted on our page. They are really sweet. Love my clients! 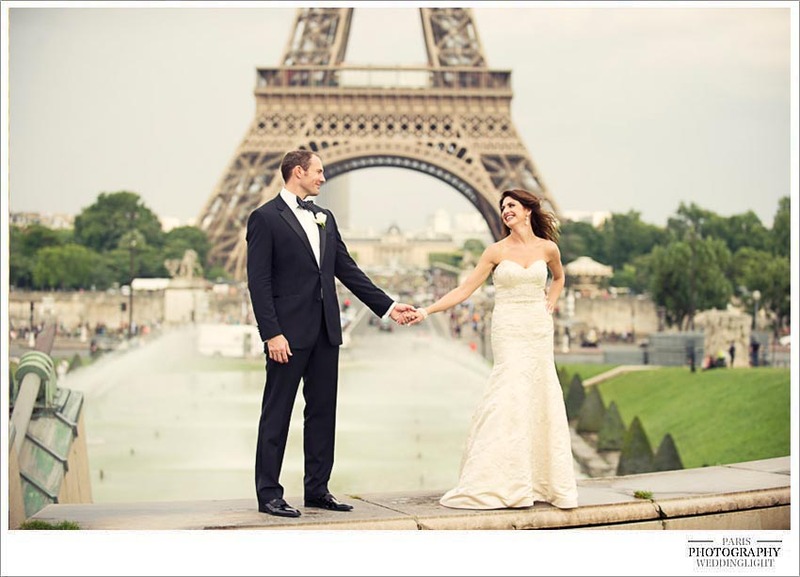 From the bride: ” I had contacted WeddingLight events in Paris so that they could arrange for our post wedding photo shoot I had been dreaming about for months. We had a big wedding at home with friends and family, although our wedding photos are gorgeous I wanted something special just for the two of us. We had ​​4 hours of shooting and could not have asked for better weather. Everything was just perfect. ​My lovely couple, gorgeous Paris on a superb afternoon, all together a real blessing for a photographer. Private photo session in Paris are always a real excitement to do. Couples in Love, perfect settings regardless of the weather which can be a little difficult at times. – full of​ happ​iness​ and ​​​​love​!